Africa has proudly been publishing leading research in African cultures and society since 1928. To celebrate the publication of the archive we are delighted to offer complimentary access to the Editor’s selection of key content from eight decades of publication. Africa is the premier journal devoted to the study of African societies and culture. 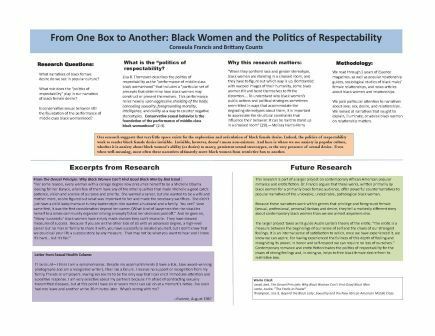 Editorial policy encourages an interdisciplinary approach, involving humanities, social sciences, and environmental sciences. Africa aims to give increased attention to African production of knowledge, highlighting the work of local African thinkers and writers, emerging social and cultural trends ‘on the ground’, and links between local and national levels of society. At the same time, it maintains its commitment to the theoretically informed analysis of the realities of Africa’s own cultural categories. Each issue contains six or seven major articles, arranged thematically, extensive review essays and substantial book reviews. Special issues are published annually. There is also a call for papers from African Scholars to submit to the Church History: Studies in Christianity and Culture. The Nu Zeta Chapter of Sigma Delta Pi, the National Collegiate Hispanic Honor Society, held an induction ceremony of 26 new members at 7:30pm on November 29, 2012 in the School of Education Alumni Center. 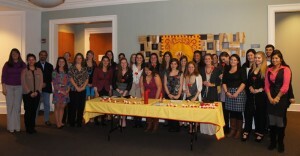 November 2012 marked the 35th anniversary of the CofC Chapter. "Standing Straight in a Crooked Room: Black Female Desire in Popular Media"
Last summer Psychology student Brittany Counts worked with Dr. Conseula Francis through the Summer Undergraduate Research Fund (SURF) to study the limits on what black women are allowed and encouraged to desire. Professor Antonio Aiello’s study “La conquista del aire de Belén Gopegui: Un discurso narrativo de la generación de los noventa en España inmerso en las coordenadas de la posmodernidad” will appear in a future issue of the refereed journal Hispania. The 28th Southeastern Association of Teachers of Japanese (SEATJ) Annual Conference will take place at the College of Charleston in Charleston, South Carolina, on March 9-10, 2013. We invite submissions of proposals for 20-minute presentations on topics related to language pedagogy, instructional technology, classroom activities, second language acquisition, Japanese linguistics, Japanese literature and film, and other related areas. We welcome submissions from teachers at all levels, including K-12 and heritage schools. Papers can be presented in either English or Japanese. Please email your proposal of 250-300 words in English or 500-600 characters in Japanese to Yoshiki Chikuma at chikumay@cofc.edu by January 15, 2013. We will notify accepted applicants by February 1, 2013. Updates on the conference will be posted at http://blogs.cofc.edu/chikumay/. Professor Carmen Grace’s article “Exequias reales en la Contrarreforma: doctrina católica y Barroco en las honras fúnebres de Felipe II” was accepted for publication in The Bulletin of Spanish Studies.